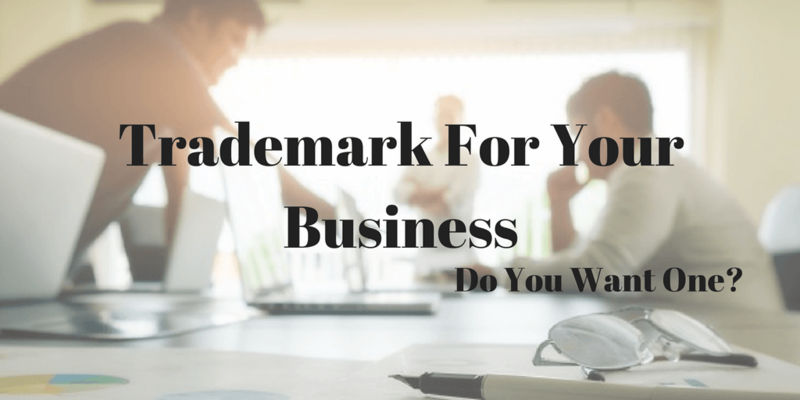 Trademark For Your Business: Do You Want One? Trademark registration has always been an important aspect for business holders. In past years, more and more organizations and businesses are opting for a strong trademark for their firm. Those who understand the merits and applicability of having a federal level of protection for their businesses, never ‘hem and haw’ about thinking of a better option. This article of ours, ‘Trademark For Your Business’, will make it easier for you to understand the importance of a trademark. 1. Common Law or Unregistered Trademark Rights: As per Common Law Trademark Rights, if you have not filed a trademark application for your business, then also you can claim trademark rights. Technically, trademark rights are enjoyed by the applicant who has first filed the application. However, it becomes quite difficult to enforce the rights without the registration and involves huge expenditure. If you have already registered a trademark for your business then, you can sue the companies or individuals who infringe on your mark. If you want to save time and enjoy trademark rights without burning hole in your pocket then, federal trademark application filing is the best option. 2. Trademarks & Brand Identity: Today’s competitive markets have created branding important for any business. Many big companies’ products’ brand does not relate to their names. In that case, it better to trademark their more popular product instead of the whole brand or company name. For example, Paytm is a subsidiary of One97 Communications, and is famous from its own trademark name, ‘Paytm’. Likewise, Minute Maid Juice, Mazza, etc. are all brands under the name of Coca Cola Inc., available by their real trademark in the market. As trademark registration is a wise choice many companies do not want to register their name, not because they don’t want. This is because some other company may already own the similar mark and the USPTO will not allow for one more registration. For example, ‘Tweetbot’ app, available for smartphones users. Its developers ‘ Tapbot’, never attempted to trademark the name, despite its strong branding. Since, Twitter, Inc. owns trademark rights to “TWEET” and maybe some other company owns the trademark rights to the term “BOT”. Thus, Twitter Inc.’s superior rights prevent Tweetbot’s developer from owning federal trademark rights for the name of the app. Note: Trademarks must be emphasized as per their priority. The most identifiable one should be protected first. It safeguards against those who wish to take advantage of your company’s success. Also, it is always advisable to hire a trademark lawyer for guidance. Choosing a right mark for your business is the first step towards your brand success. We, The Trademark Search Company is here to help you avail the best Trademark Search and Monitor services. This entry was posted in Blog and tagged Business Holders, Common Law, Federal Level of Protection, Federal Trademark Application, Importance of Trademark, Monitor Services, Registered A Trademark, Registered Trademark Symbol, Registering Your Business Name, Strong Trademark, trademark application, trademark lawyer, trademark registration, trademark rights, Trademark Search, Trademark Search Company, trademark searching, Unregistered Trademark Rights, USPTO. Bookmark the permalink.